I love cheese. I would probably live off it if I could! Melted cheese and bread is one of my favorite meals. Apples and broccoli are also good, but mostly I love the bread. There aren’t many things that taste better than bread dipped in cheese. Best part? You don’t need to go to a fancy restaurant to have fondue, it’s super easy to make at home! 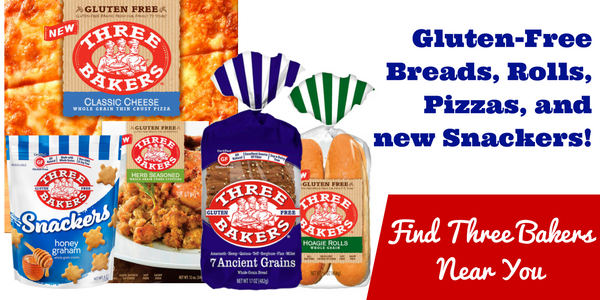 The flavors combos are endless, but I love using gluten free beer in mine. It gives it a nice little kick. Combine that with sharp cheddar and gouda and it’s heaven. Fondue is one of those meals best enjoyed when shared with your loved ones. 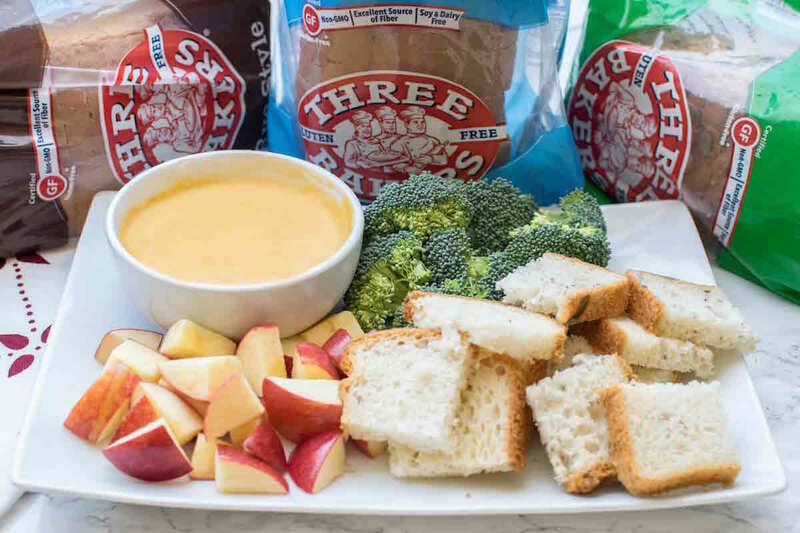 Whether it’s your significant other, or friends for game night, gluten free cheese fondue is a winner every time. Toss cheeses with gluten free flour. Add cheeses, stir until melted. Serve with Three Bakers gluten free bread.